1 – To provide a complete range of speeds to enable optimum operation of individual machines or equipment. 2 – To permit accurate control of production flow through related machinery and plant, so that plant efficiency may be optimised. Operating speeds have a vital effect on cost and quality of production. Speeds that are too fast or too slow are inadequate, wasteful and cannot be tolerated in efficient manufacturing. Correct speeds must be used and they are dependent on variable conditions which are factors in every phase of industrial production. Variable speed drives make it possible to secure the correct speed for almost every manufacturing operation. Only through infinitely variable speed control can the utilisation of many machines be realised. 1 – Processing different sizes, shapes, quantities or grades of product on the same machine. Reeves Motodrives enable single machines to produce more output than is possible at fixed speeds, by increasing the operating range, thus reducing unit costs. 2 – Changes in composition, molecular construction, density or character of material during processing. Reeves Motodrives permit accurate manual or automatic control of speed to compensate for changes in consistency, density, viscosity, etc. during processing. 3 – Variance in temperature or atmospheric conditions. Reeves Motodrives offer flexibility of operation in heating, baking, drying, cooking, cooling or chilling operations by enabling compensation for fluctuations and variations in temperature, humidity, moisture content and atmospheric conditions. 4 – Changes in production schedule. 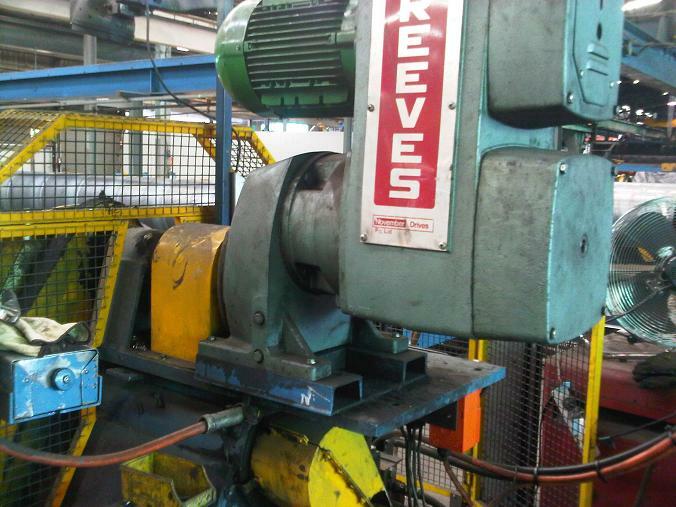 Reeves Motodrives make conveyor speeds readily adjustable. They provide the desired speed without interrupting production flow. Delays, congestion, over or undersupply at critical points on production lines are reduced. They also provide flexibility to meet changes in operation caused by new designs or new sequences of processing. 5 – Changing peripheral speed during manufacturing operation. Reeves Motodrives using automatic speed control can maintain uniform peripheral speed on increasing or decreasing diameters. This ensures uniform cutting speeds on rotary veneer lathes, uniform loading of cable strands on reels and even tension on wind up rolls. 6 – Synchronising machine speeds. 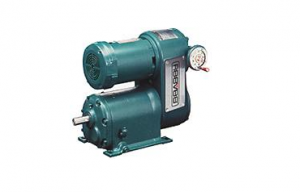 Reeves Motodrives allow continuous flow of material from one item of equipment to the next. This eliminates material waste and ensures high quality and uniformity of product. 7 – Variance in number of skill of machine operators. Reeves Motodrives allow for differences in capability of men and machines by providing the flexibility needed to speed up or slow down to meet changes in number of operators or match differences in skill between operators. Machine constructors and manufacturers in every line of industry now realise that the investment for adequate variable speed control equipment is repaid many times over in greater machine flexibility and utilisation, increased capacity and lower production costs. 1 – They are Australian-made, so spare parts are readily available and drives can be suited to suit specific applications. 2 – Full speed range operation can be achieved without derating, fitting blowers for motor cooling or oversizing the motor. 3 – Being a simple belt variator, they can be easily maintained and serviced by the plant fitter. This eliminates costly service engineer calls. 4 – Catalogue duty rating is 24 hours per day. 5 – Ambient temperatures up to 40 degrees C without derating unit. 6 – A wide range of options are available.